This is an ongoing battle in the Moore household, but it’s one we’re actually really interested in and concerned about. The TV is a great and terrible thing. We love being able to veg out in the evening, and I’ll admit that the TV kept me sane during Ryan’s deployment last year. It was the only way I could foresee making dinner for the kiddos and not having eyes on them the whole time. We don’t live in an open-concept home, so the TV kept my kids riveted for the 30 minutes I needed to make dinner – and it calmed them down after bath and before bed. TV, however, is addicting. There are varying schools of thought on using the TV, and Ryan and I are extremely interested in making sure we make the best decisions for our little guys – no matter how hard those decisions might be for us. A couple months ago, we decided to get rid of DirecTV. We were spending nearly $200 a month to watch, primarily, kids’ shows and the occasional football game. It didn’t make sense. We have Netflix, Amazon Prime, and Hulu, so we really do have all the access to shows we need. However, it’s an ongoing debate in our household as to whether or not we should keep the TV. When I was little, we were allowed to watch maybe an hour of TV a day in the evening. It was monitored closely by my parents, and I think we stuck to Mr. Rogers or Sesame Street, for the most part. These days, there are so many choices for kids. Spencer absolutely loves PJ Masks and Rescue Bots. I don’t think these shows are bad, by any means, but I don’t know that they should watch as much as they do. So, as we work towards potentially ditching the TV once and for all, here are four ways to entertain kiddos without the TV. 1 // Go outside. This is a no-brainer, folks. I know it. However, when you live in the frozen tundra of northern NY, it’s a tricky one. Half the reason we spend so much time inside is that it’s too dang cold to go outside. When the weather turns, however, we spend far less time in from of the TV. We did so much last summer. From visiting our local farm to going to the beach, the zoo, and beyond, we stayed busy. The busier you are, the less you’ll want to veg out. Here’s the best part about getting outside though…you don’t need an elaborate activity! My kids are happy splashing in puddles, chasing bugs, and running themselves silly in the backyard. Just move. 3 // Get crafty or musical My kids absolutely love arts and crafts. Whether it’s playdough, coloring books, Magnatiles, or beyond, they’re all in. I’m a touch OCD though, so the thought of markers on my walls (however washable they might be) are a tricky one for me, and playdough is awesome, but it can get stuck in everything. I’m working to relax my uptight approach to these things though, and let them be little – in contained areas. The dining room is a great place to do it. They’ll happily sit in their boosters at the table for a couple hours if it’s in the name of art. Another great idea is to get musical! 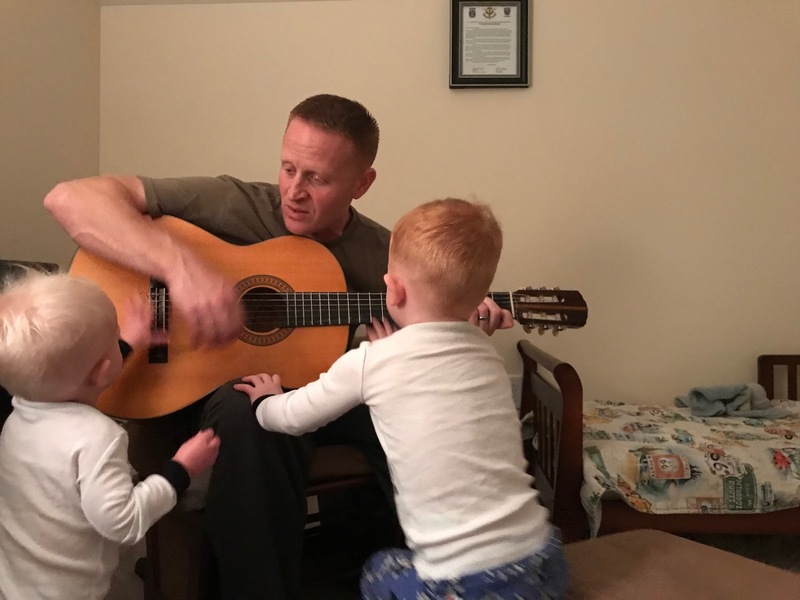 Ryan plays the guitar, and the kids absolutely love sitting with Daddy, singing, and “helping” him play. It’s too cute. 4 // Hands-on kitchen help. This is actually something I’m excited to get much better at, too! Spencer’s almost 3.5 years old now, and he actually really wants to participate in the kitchen. There are great little stools available like this one that allows kiddos to reach the counter and “help” out. Additionally, you can look for little kids’ cooking tools sets. They’ll have their own mixers, bowls, etc (kid-friendly and unbreakable!) so they can help participate. I’m excited to get my boys – especially Spencer – in the kitchen helping me bake this year. Not ready to have them in the kitchen yet? Get their help with groceries! 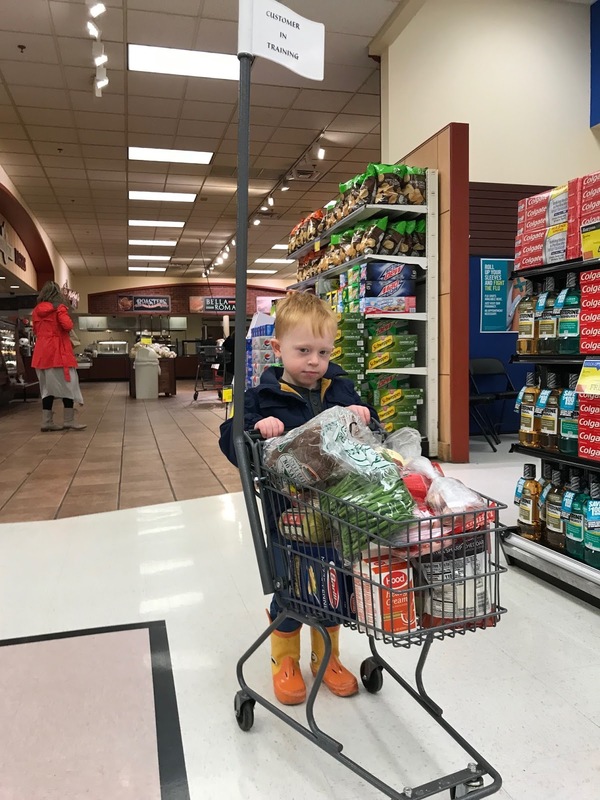 Spencer absolutely loves pushing his own cart and helping me shop. If your local grocery market doesn’t have carts like these, you can buy one here. 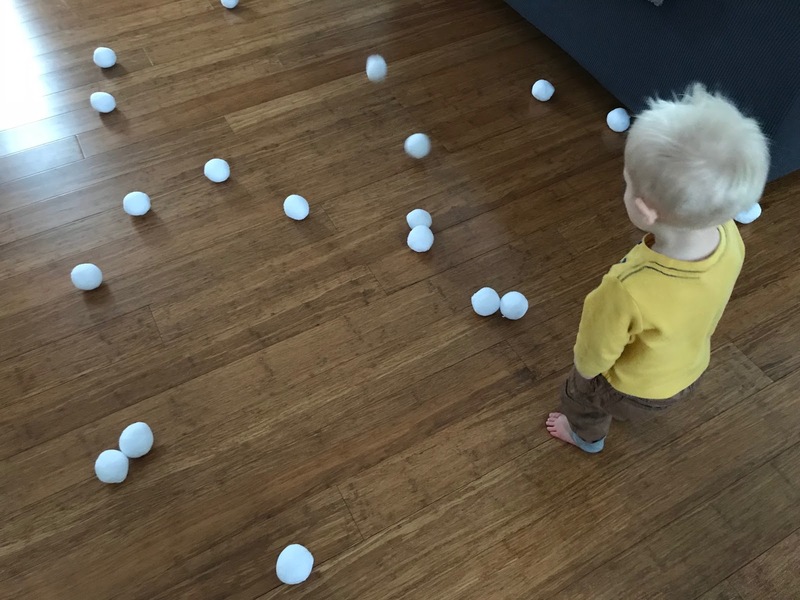 I want to make it clear – I have a lot to learn here, myself, but it’s really important to me that my kids are busy and hands-on. As they get older, these things become more and more crucial, especially as we start considering sports and stuff for when we move to Washington. 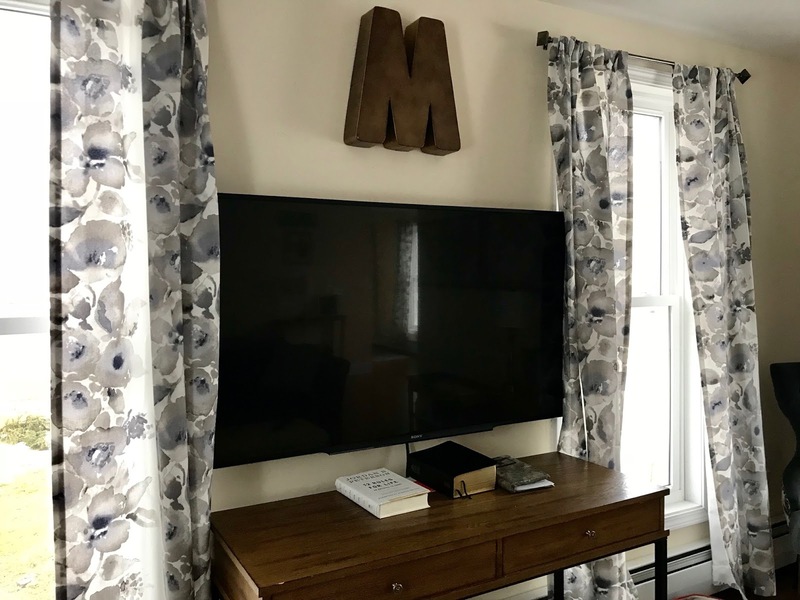 What are your thoughts on TV in the home? Do you have a TV, or do you watch a lot? What are some of your favorite ways to entertain your kids without using a TV?